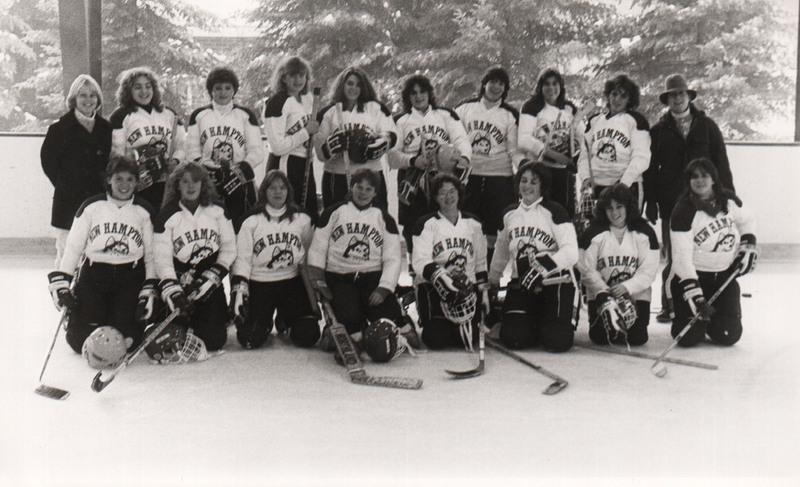 Ice hockey was originally played on the pond located in the center of campus. Because the snow removal equipment kept going through the ice, those involved moved it to the flat area next to the pond. During hockey season, the parking lot near Smith Gymnasium was flooded for the rink. All this took place from 1957–1968. 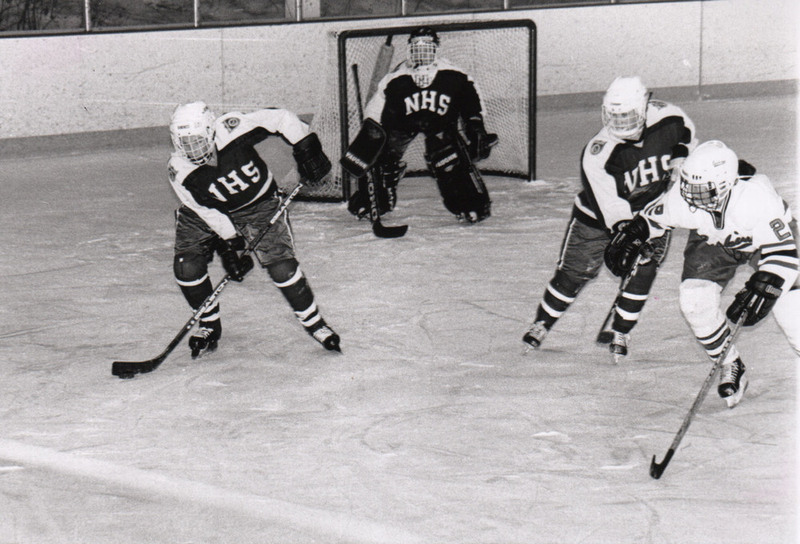 Following Bud Moore and Lou Gnerre’s guidance and advocacy, New Hampton School generated funds that supported the first ice rink to be constructed on the north side of campus. The ice rink that currently sits on campus was constructed over time through a series of second-hand purchases. 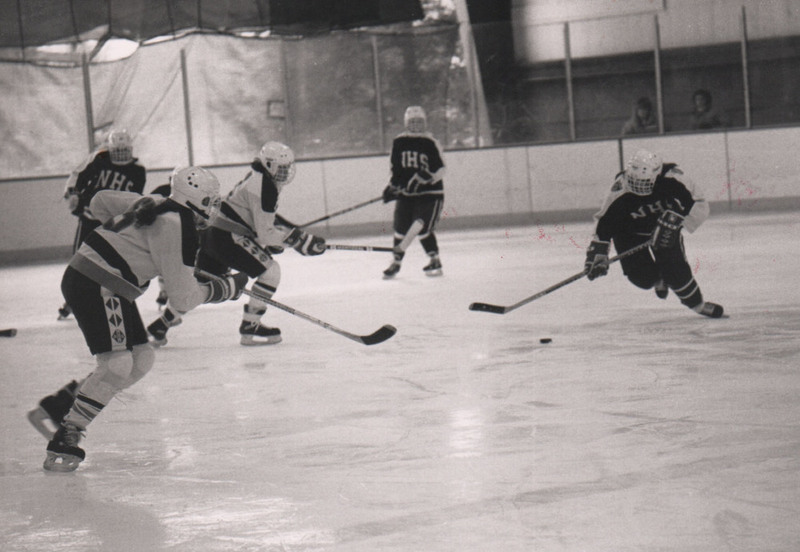 Once Holderness School purchased Phillips Exeter Academy’s rink, the administrators at New Hampton School decided to purchase Holderness School’s original ice rink. Similar to the transport of Randall Hall from the center of town in New Hampton, the ice rink was transported piece-by-piece. Originally set in sand, the ice surface came alive once the sand was flooded. A local contractor, John Corriveau, was generous in donating many of the building supplies to New Hampton School, including the pipes. Once the surface froze, the boards that were originally used on the pond found a new place on the perimeter of the playing surface. This brought the rink to competition readiness. With time, administrators were concerned about the maintenance of the surface and decided to make the ice rink a permanent structure by hiring a company to pour a concrete slab. New boards were purchased in sequence with the construction of the concrete slab but a roof was not yet affordable. The original zamboni was a homemade structure that had to be manually pushed around the ice surface. Described as a 50-gallon drum with pipes extending from the bottom, the contraption was set on two wheels, much like a wheel barrel. New Hampton School then purchased a pint-sized zamboni from the Prudential Center in Boston, MA. When comparing this to the first machine, the maintenance staff were thrilled by the $850 purchase but groaned about the need to empty the ice-chippings each time the driver circled the rink. Finally, Bud Moore worked with Merrill Lindsay to complete the final stages of the ice rink. Now, with the addition of locker rooms, a functional zamboni, and a roof to cover the surface, the Merrill Lindsay Arena has served its function for a number of years.